In a world increasingly dominated by software, artificial intelligence, and similar technologies, coding has become an incredibly useful life skill. Not only for personal use, but for future employment possibilities. Which is why some nations are already implementing coding into the standardized curriculum for their schools. 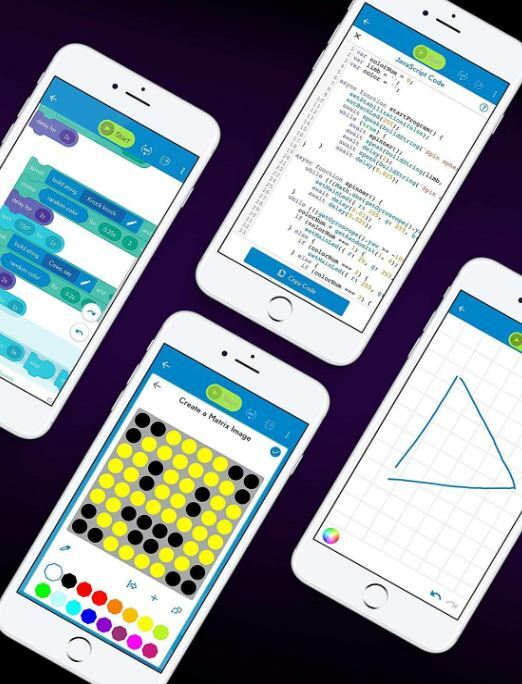 Even if you don’t end up using coding directly, the cognitive skills behind it are similar to the skills behind mathematics, logic, and reason. In other words, skills it doesn’t hurt to have. Only a couple decades ago, the coolest high-tech toys were RC cars. Kids these days have amazing opportunities that previous generations didn’t. 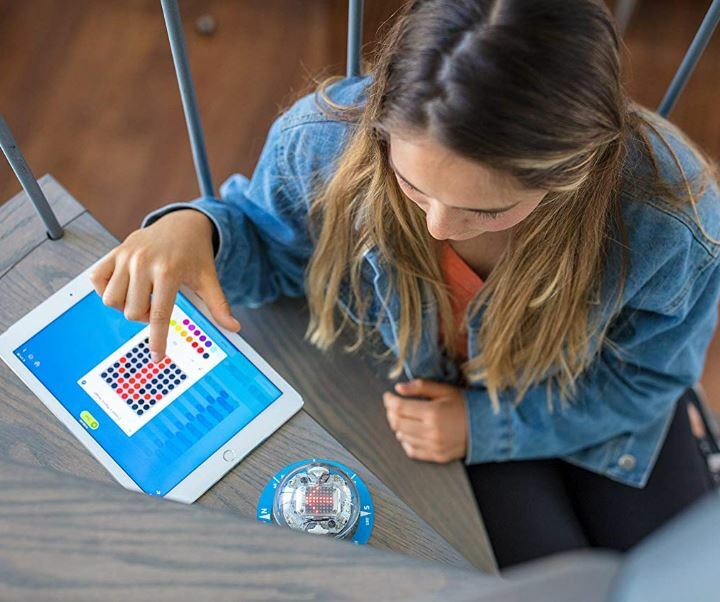 For parents who want to inspire their children to learn coding skills, the number of cool coding toys out there is simply insane. After looking over a couple of them, it’s easy to see why so many adults end up playing with them, too. But if you’re looking for a toy for kids, then you’re looking for that toy to be instructional. Specifically, you probably want it to provide, promote, and encourage the development of the foundational skills required for coding. That sounds like a tall order, especially considering the fact that coding can be complicated to full grown adults. But it can be done. Coding can be terribly complicated, but the general ideas behind coding can be made very simple. Just because a toy says it’s suitable for children six-and-up doesn’t necessarily mean it’s going to be great for kids that age, or that it’s going to be unsuitable for kids who are twice as old. Unfortunately, the only way to gauge the approachability of one of these toys is to get your hands on it, or otherwise examine it thoroughly. Can you get additional accessories or game kits for your robot, or is the unit relatively self-contained? Once a coding toy provides enough options for exploration, you really don’t need a bunch of accessories to keep a coding toy interesting. Because your imagination becomes your only true limit once you’ve got an almost endless option of different parameters to mix and match. Learning is a somewhat complicated process. It’s not the same for every child. Some kids learn things in different ways. Some kids are at different stages of their development than others, and need information delivered in different ways. That’s particularly true when it comes to literacy skills, which can easily get in the way of learning coding at a young age. In any case, it’s worth paying attention to the specific ways in which the robots teach, or if they have anything resembling a specific curriculum. Anytime you’re looking at a machine with moving parts, you’re going to want to pay close attention to the build quality. Because a great coding toy with a really cool design and thoughtful teaching app is still worthless if it breaks the first time it’s accidentally dropped. And like anybody else, kids occasionally drop things. At the end of the day, what matters is having fun. Not only because fun is nice to have, but because if it’s fun, it means kids will want to use it more. When a child has reached the limits of their coding toy, if they had a good time, they’ll only want to develop those capabilities. That’s when you’ve successfully cultivated an interest in coding. 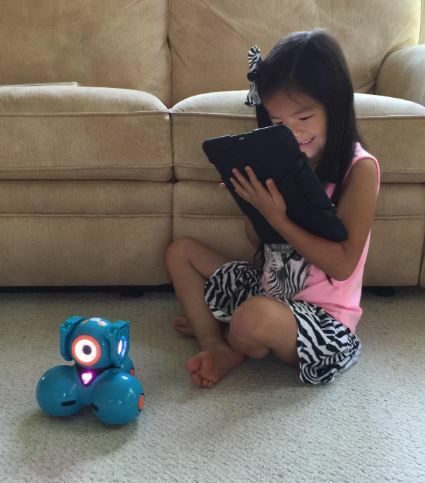 The general idea behind the Dash Coding Robot is to make coding easy, fun, and approachable for kids. Learning how to use this bot follows a smooth program, which moves you from one app to the next. As you move on, you slowly expand your abilities to control the Dash until you’re finally a master. The companion app has a child-friendly interface that’s been brilliantly designed to be totally intuitive, and to not rely on literacy to convey any key concepts. The presentation is colorful and fairly approachable to anyone. The Dash has actually won awards from a couple of respectable groups and publications for that very reason. Roughly speaking, Dash has a 6” diameter, which makes it hand-sized. It weighs about three pounds, but you generally don’t have to pick it up. Rather, it runs along the ground like a Roomba. The motors have an excellently smooth motion, they’re also responsive and powerful enough to push small objects out of their path. You ought to be able to discern how much this robot can push out of its way by looking at the 3lb weight. You can give Dash voice commands to explore different sequences, conditions, events, and loops. 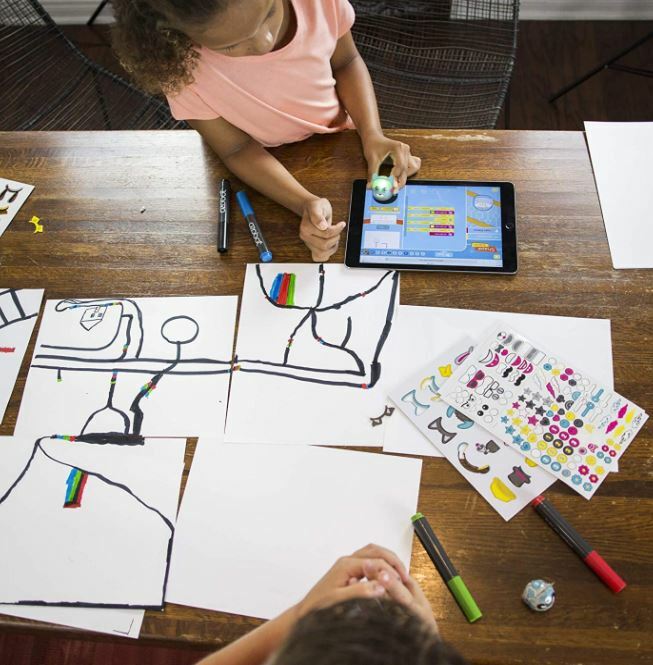 It’s a pretty smooth introduction to coding that really only requires a child to speak, though for the deepest extend of its learning powers, you do have to involve the included apps. The Dash includes five default apps. The Wonder app is a coding language which is based on pictures. The Block app is a good way to introduce more advanced concepts within coding, like conditionality. 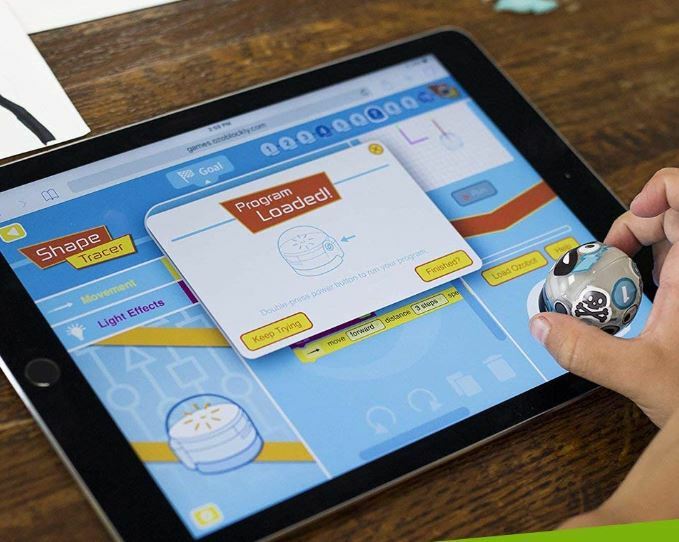 The Go app is used for exploring the Dash Coding Robot’s sound sensors and motion sensors. That’s really essential to unlocking the full potential of the robot. 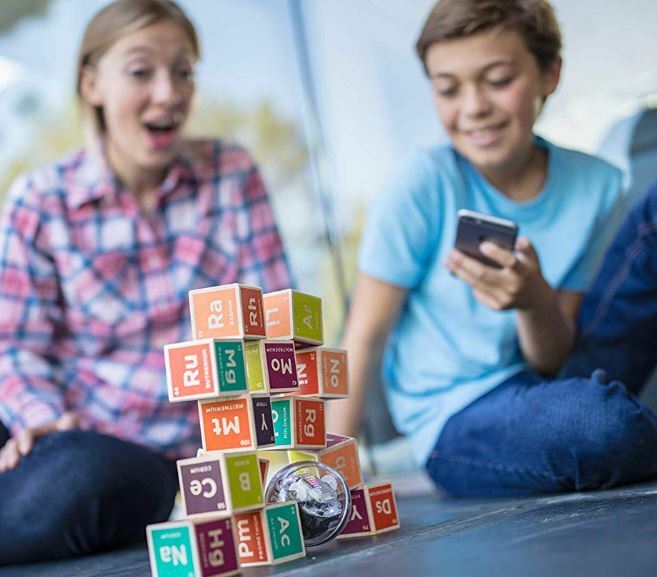 Finally, there’s the Path app, which teaches kids the fundamentals necessary for coding the robot’s motion. And all in a program which can be followed without literacy. Dash includes a few Lego blocks which can be used to help transform its appearance and style. Another thing that’s easy to like is there isn’t any data tracking, account signup, or user info that’s being taken. You can typically get an hour’s worth of playtime from a short partial charge, but from a full battery, Dash can run for about five hours. 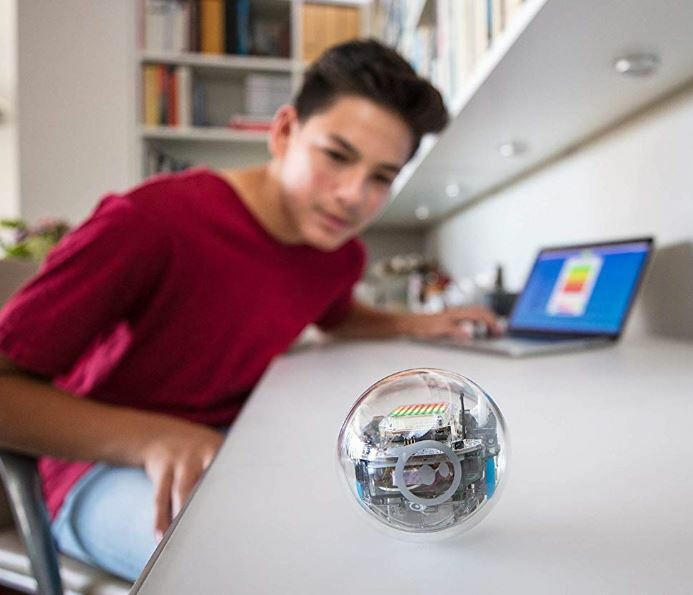 The Sphero BOLT is actually one the more advanced coding toys out there. Because even though the robot itself is fairly small and modest, it provides a variety of different options or expressing creative ideas. The extensive potential lurking behind this little robot is ideal for helping introduce someone to the power of programming. And having so much room for imagination is pretty fun, too. BOLT is built with a durable UV coated plastic shell. The shell is totally clear, allowing you to see inside of the robot, which is also pretty neat. It has a 2.8” diameter that makes it handheld, and it weighs about half a pound. Small enough to shove in your pocket. 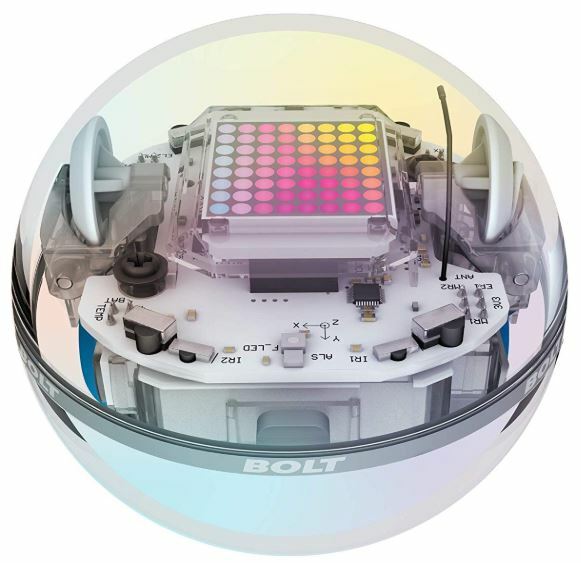 Unlike Dash, the BOLT uses an 8×8 LED matrix lets the user program the display’s characteristics. They can even be synced with sensor data, or can be used to allow you to play games. Those sensors are pretty impressive, too. The built-in compass allows the user to drive the BOLT robot manually, or program it to follow directions based on a map. The max speed is 4.5MPH, not bad for such a small bot. You can even code the light sensor to have the robot react differently to light or dark conditions. That way, you can use brightness and speed as a parameter in your coding. BOLT is sensitive to direction and light, and can operate for a little more than two hours before it needs to be recharged. It’s based on the free Sphero app, which is compatible with basically every platform. That includes Kindle, Mac, Chromes, Windows, Android, and iOS. Additionally, their app has a couple of educational activities for people who need linear gameplay. For apps, the Bluetooth based connection to the robot has a 100ft capacity, which provides plenty of room to explore. It can also communicate with other BOLT units in a 360° radius around itself. Though the connection is IR based, so you’ll need it both units to have line of sight with each other. How small can coding toys get? 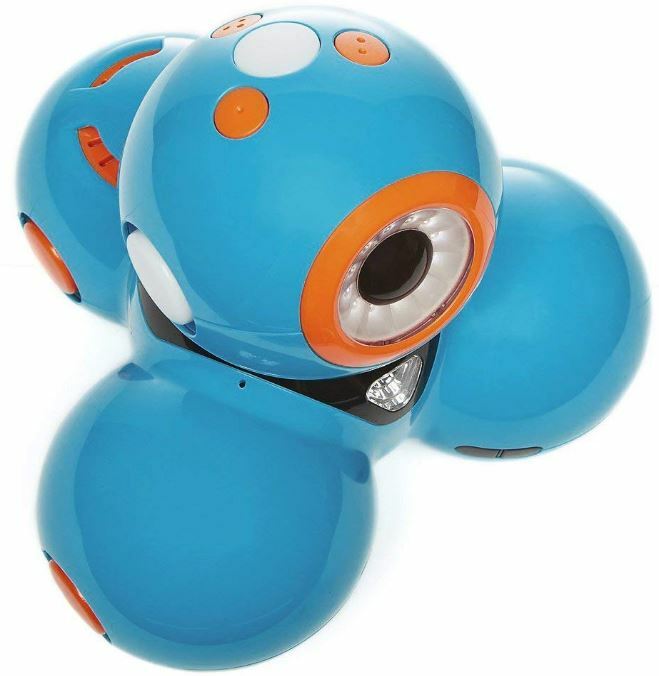 The Ozbot Bit Coding Robot is a pocked sized bot aimed at kids six and up. Like the other toys in this list, it’s intended to provide beginner coding skills. But it does so in a hands-on fashion. The OzoBlockly programming editor lets you gradually create code for the Bit by dragging and dropping various elements, or by breaking out colored markers and writing code on sheets of paper. It’s a bit rudimentary, but it’s a great introduction for people who have absolutely no background with coding. Superficially speaking, this is one of the most primitive coding toys on the market. Even the robot itself is a fairly simple device, though it’s not cheaply made. The outside is built from a sturdy polycarbonate shell. Its diameter is roughly 1.6”, similar to a ping pong ball, and it hardly weighs an ounce. Within the shell, there are a few optical sensors and LED lights. That allows you to work on color codes, drawing commands in marker, and watching the Bit respond. The Bit Coding Robot will move along a path you create and perform different speeds, spins, zig-zags, and similar motions when issued color commands. You can eventually use these taught skills to create your own command structures, and you can code through the app’s drag-and-drop editor as well. With many of these types of devices, people are left to their imagination to try and figure out what to program. But the Ozbot Bit includes a short online activity library, which can helps serve as an introduction to the device, and provides you with a couple of ideas about what you can do. There are about 20 color activities you can use to get introduced to the concept of creating commands by color. 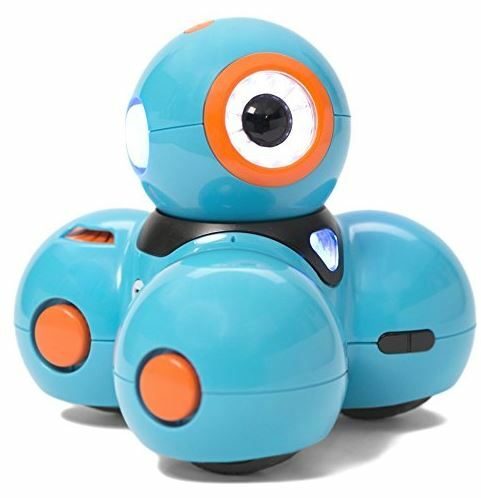 The Ozbot Bit Coding Robot is available in cool blue and white. 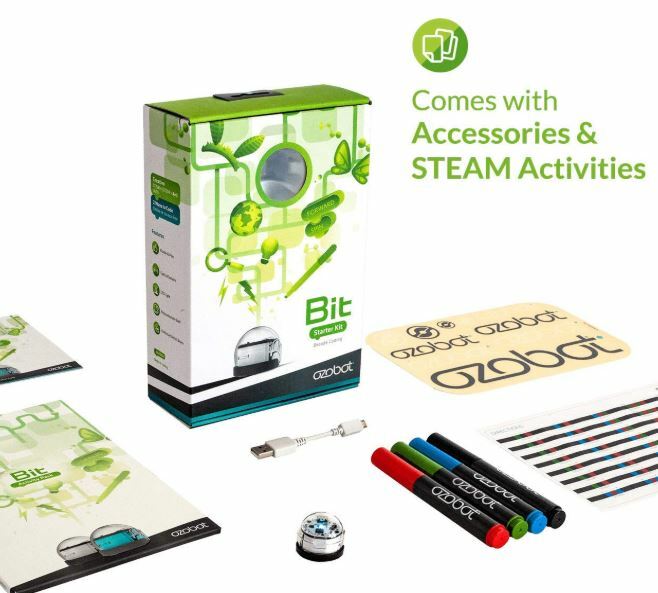 It includes four color markers, a pack of example coding sheets, and a dice which can be used for one of Ozbot’s games. Additionally, there are a couple stickers and accessories to decorate the Ozbot. Nothing too extravagant, but kids tend to love these types of little customizations. The Wonder Workshop Dash Coding Robot doesn’t look very impressive. But it has a deep feature set based around a rigorous curriculum, which is why it’s already being used in schools around the world. Dash’s 5-app program is really easy to move through, and quite intuitive. It doesn’t hurt the Dash also has a far better battery lifespan than the BOLT, though it’s really approachability that makes this coding toy worth picking up. 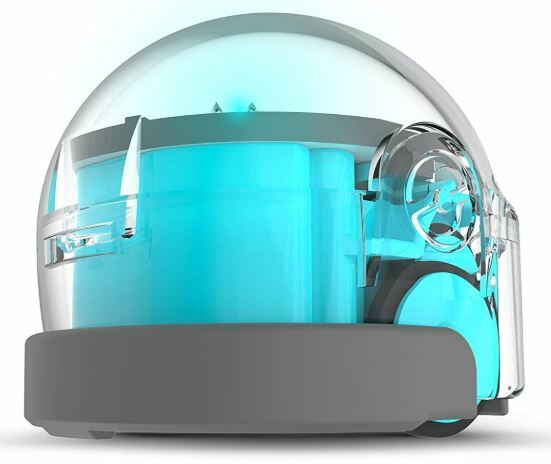 The Sphero BOLT App-Enabled Robot looks amazing, which is sure to impress some kids. Being able to see the inner workings of the mechanical robot only adds to its beauty. The ball-type design of this robot is strikingly cool, and it still manages to teach essential coding skills in a fairly direct manner. It’s both durable and waterproof, so even though it’s high tech equipment, you don’t have to worry about handing it to a child. The BOLT is the right choice for older kids, or even adults, who are interested in an introduction to coding. 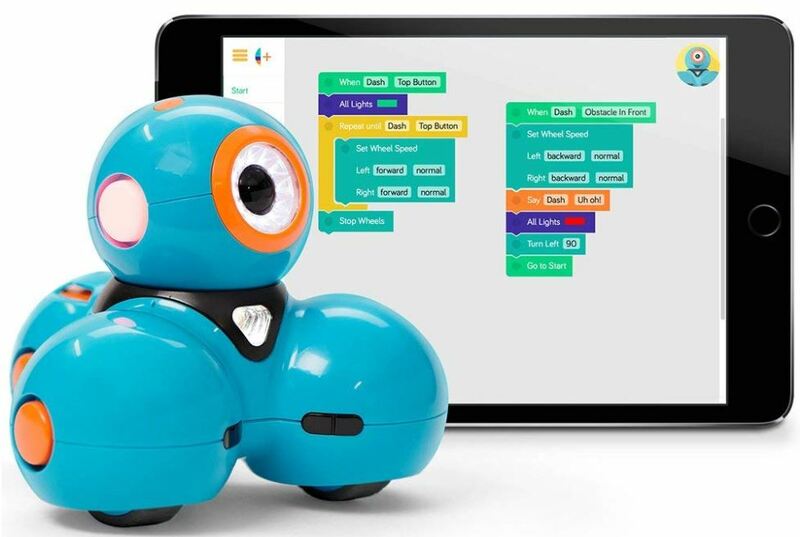 Finally, the Ozbot Bit Coding Robot is relatively inexpensive, and it allows you to teach many of the same essential programming skills as the more advanced coding toys on the market. The toy itself is incredibly tiny, but there’s nothing small about the number of potential programs you can create for its movement and lighting effects. However, you can’t do as many sophisticated tasks, like programming based on multiple sensor inputs. That makes this equipment a little more suitable for younger kids, and a little more suitable as a basic introduction.